Jeannie and the Drivin’ Wheel is a Jersey Shore country band born out of the Honky Tonks of Nashville. Much of the group’s repertoire consists of music by Hank Williams, Johnny Cash, Buck Owens, Merle Haggard, and Waylon Jennings. The quartet is part of a growing trend of musicians paying tribute to that era. From Hank’s Saloon in Brooklyn, to The Waylon in Hell’s Kitchen, Honky Tonk country music is back in full twang on the East Coast. And now, thanks to the Honky Tonk Sunday series at The Brighton Bar in Long Branch, it has found a home right here on the Jersey Shore. “We were really excited when we found out that The Brighton is doing Honky Tonk Sunday,” said guitarist and co-founder Thomas Martin. 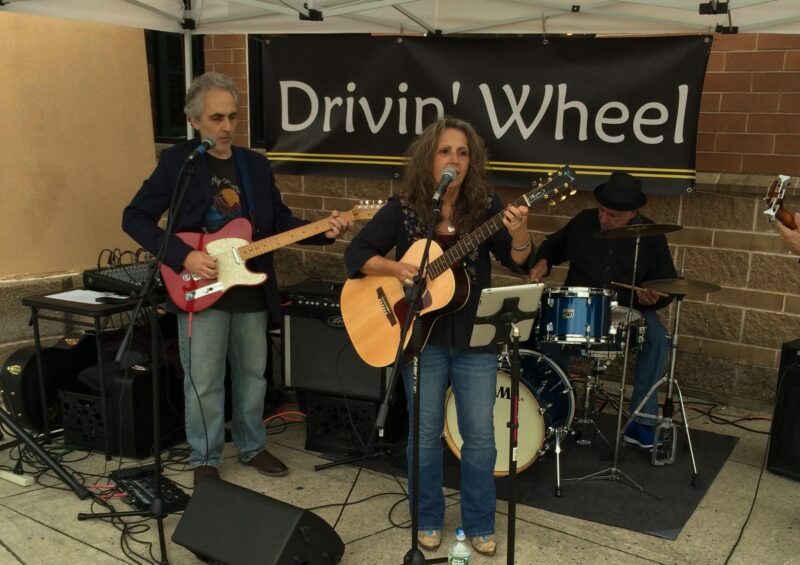 Jeannie and the Drivin’ Wheel will be performing there on Sunday, April 22nd starting at 5:00 pm. The band grew out of an acoustic duo called O’Neill & Martin. Jeannie O’Neill, was a regular performer at Albert Music Hall in Waretown, NJ, where she performed songs by Loretta Lynn, Patsy Cline, Emmylou Harris, and others. Martin had recently returned to New Jersey after spending some time living in Nashville. Initially, the duo covered everything from country, to rock, to folk, and pop. They also recorded and performed their own original music.